Meet the doctors working in the eye clinic. The medical staff consists of one U2 eye surgeon, three U3 eye specialists and two U3 medical officers. Dr. Dayang Sayalam, eye specialist(U3) is now heading the department. 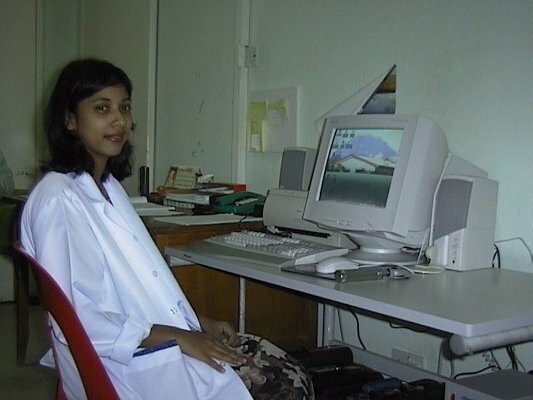 She obtained her masters degree in Ophthalmology in 1998 from National University of Malaysia (UKM). Dr. Sanjay Dhir, Consultant Eye Surgeon (U2), is the senior surgeon in the department. He obtained his M.D. 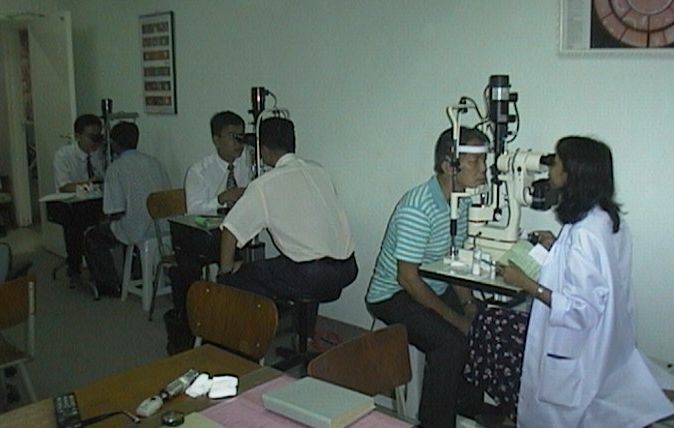 (Ophthalmology) degree in 1988 from All India Institute of Medical Sciences, New Delhi, India. He has obtained M.Med. (Ophthalmology) from National University of Singapore and is a fellow of the Royal College of Surgeons of Edinburgh (FRCSEd). Dr. Luna Dhir, Eye Specialist(U3), obtained her M.S. 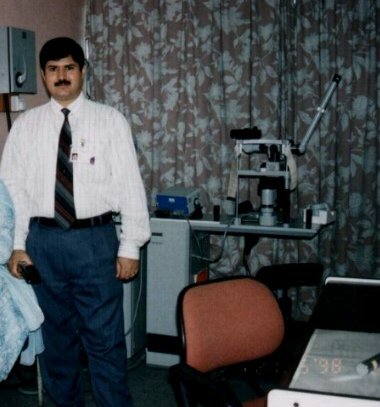 (Ophthalmology) degree in 1992 from University of Delhi. She was awarded the University Gold Medal for being the best postgraduate student for the year. She has obtained M.Med. (Ophthalmology) from National University of Singapore and is a fellow of the Royal College of Surgeons of Edinburgh (FRCSEd). 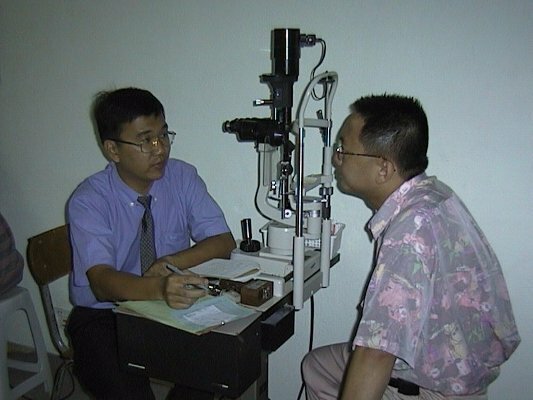 Dr. V.Y.Kong Eye Specialist(U3) joined the department, after obtaining Masters in Ophthalmology degree in 1998 from University of Malaya (MU). He is also a fellow of the Royal College of Surgeons of Edinburgh and has obtained M.Med. (ophthalmology) from National University of Singapore. (FRCSEd). Dr. Dayang Sayalam is now heading the department. Consultant Eye Surgeon Dr. Sanjay Dhir in his clinic. 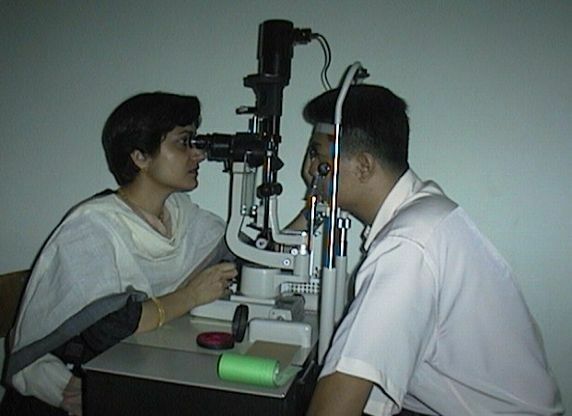 Eye specialist Dr. Luna Dhir examining a patient on the slit lamp. Dr. Kong a pleasant person, bringing new vigour in the department. The doctors have their hands full with a heavy demand on their services by the busy out patient. Dr. Kong, Dr. Wong and Dr. Sheena are at the slit lamp in the eye clinic. Dr. Sheena joined the department after doing a long stint as a general duty medical officer in the district hospitals of Sabah. She is now the senior medical officer in the department. Dr. Nordin has recently joined the department as a medical officer.